That’s according to a recent survey of 120,000 U.S. residents by home-renovation and design website Houzz, which found that 29 percent of respondents remodeled their kitchens in 2015. Even more — 31 percent — said that they added or expanded a kitchen. About half of those who overhauled their kitchens did so to update its design, and nearly as many replaced old finishes. Seventy percent installed new countertops, while two-thirds addressed fixtures, faucets, and wall colors. At an average of 255 square feet, today’s remodeled kitchen is typically the third-largest indoor space in the American home behind the living room and the master bedroom. 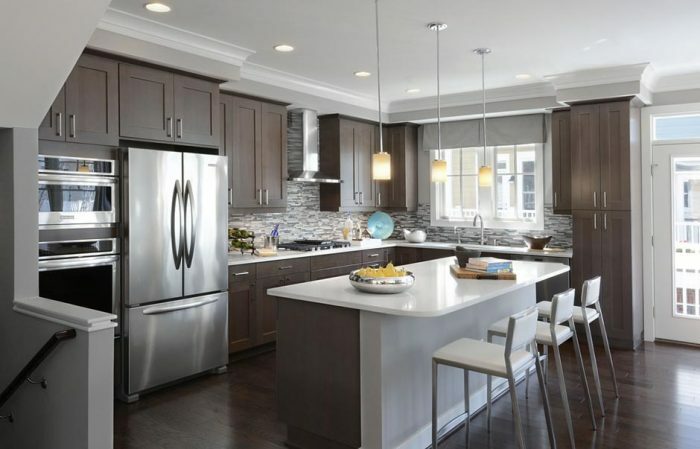 Homeowners who made major renovations to a kitchen about that size spent an average of $50,700, while those overhauling kitchens of less than 200 square feet paid about half that — $26,400. Houzz says that overall kitchen-improvement spend grew by 12 percent from 2014, driven by an uptick in major renovations, including upgrading appliances and cabinets. Kitchens typically took longer to upgrade than any other room, an average of five months. Master bathrooms were also a popular improvement job, with 20 percent of respondents reporting remodels and 22 percent adding to or expanding the space. Master-bathroom renovation spending also increased 12 percent from 2014 to 2015, with a 100-square-foot-plus space costing an average of $25,600 for major improvements and smaller spaces running $12,000.